While following IAG’s corporate structure, O’Leary’s move also seems to mirror that of fellow Irishman Willy Walsh, who transitioned from British Airways CEO to IAG CEO after a series of harsh cost costs at the UK carrier and a combative relationship with unions. Ryanair Holdings will focus on efficient capital allocation, cost reductions, aircraft acquisitions, and small-scale merger and acquisition opportunities, the company said on Monday, as it announced a €19.6 million ($25.6 million) loss for the quarter ending December 31, a reversal from a €105.6 million net profit in the same period a year ago. O’Leary last year expressed ambivalence about committing to another five-year term—his former contracts all ran for one year—but Ryanair noted he consented to a new five-year contract after agreeing that the new group strategy would prove the best avenue to expand Ryanair, Ryanair Sun, Lauda, and other possible airline brands. O’Leary’s commitment to remaining group CEO “will give certainty to our shareholders,” it added. As part of the overhaul, long-time Ryanair chairman David Bonderman will step down in summer 2020 in favor of former Kerry Group CEO Stan McCarthy. McCarthy, an Irish national, will assume the position of deputy chairman starting this April. Some investors and unions last year called for the resignation of both O’Leary and Bonderman amid continuous labor unrest and strikes by pilots and cabin crew. At the company’s annual general meeting in September, almost 30 percent of shareholders voted against the re-election of Bonderman, while the overwhelming majority wanted O’Leary to stay. Ryanair described the loss in the October to December quarter as “disappointing,” although O’Leary said the LCC takes comfort in the reasons for the down period. “This was entirely due to weaker than expected airfares so our customers are enjoying record low prices, which is good for current and future traffic growth,” he explained. Ryanair’s average fare fell 6 percent year-over-year, to under €30. The €19.6 million loss for the quarter excludes the €46.5 million loss made by Laudamotion, of which Ryanair gained full ownership in December. Revenue for the quarter increased 9 percent, to €1.53 billion, on an 8 percent rise in passengers to 33 million. 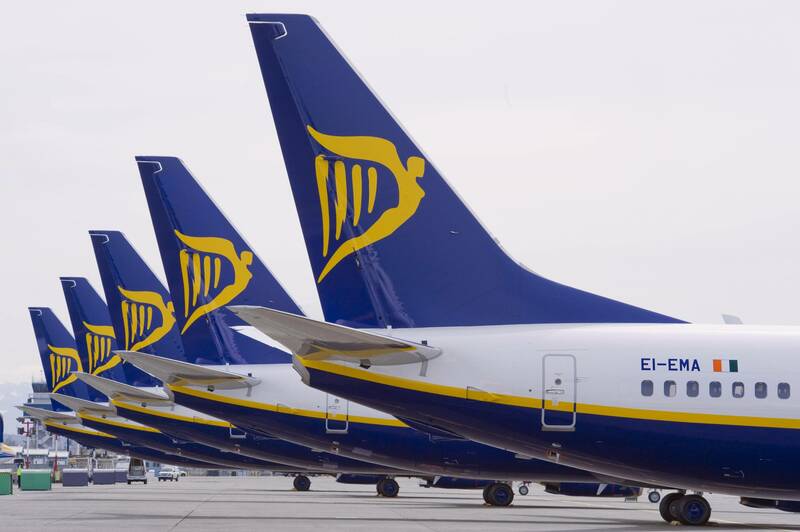 Ryanair reiterated today it could not rule out a further profit downgrade for the fiscal year ending March 2019, noting uncertainty from Brexit and overcapacity in the short-haul market in Europe. O’Leary, however, remained upbeat on Ryanair’s traffic growth prospects; the airline anticipates carrying 200 million passengers per year by 2024 as consolidation in Europe continues and O’Leary emphasized the carrier’s cost leadership as it prepares to take delivery of its first five Boeing 737 Max 200s in April. Ryanair placed firm orders for 135 Max 200s and holds options on 75, and it will take 50 examples in its next fiscal year.